Consider a career in the Communications Section of the Saskatoon Police Service. 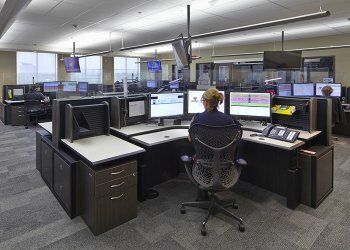 We will provide on-the-job training for receiving calls for service, operating the 9-1-1 system, the Computer-Aided Dispatch (CAD) system and the multi-channel trunked radio system. The Saskatoon Police Service is an employment equity employer. We offer a comprehensive benefits plan including group medical and dental, life insurance, pension plan, employee assistance program, career training, on-site fitness facilities and a starting salary of $54,034 which increases to $86,659 after five years.